DD Form 2960 is a U.S. Department of Defense form also known as the "Dod Plain Writing Act Compliance". 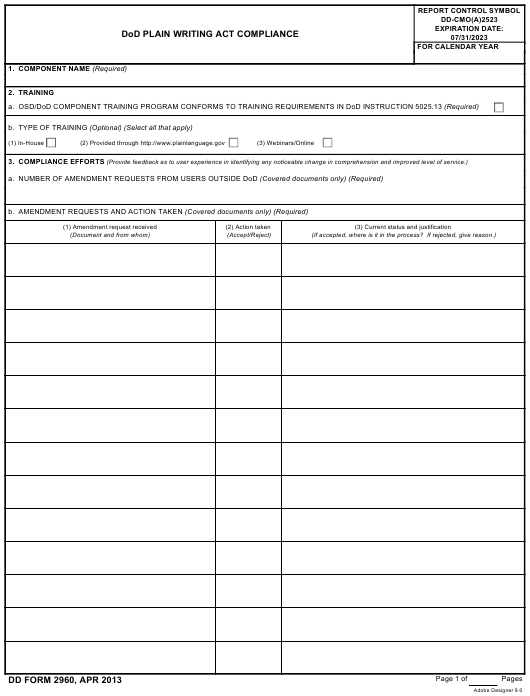 The latest edition of the form was released in April 1, 2013 and is available for digital filing. Download a PDF version of the DD Form 2960 down below or find it on U.S. Department of Defense Forms website. (3) What has changed by using Plain Writing. How it is made available to the public.